Believe it or not, the garlic you buy from the grocery store or is in the food you get at a restaurant is probably from China. This is an awful thing! Our garlic isn’t coming from California anymore, it is being imported from China. Quality control is a big issue, but it pales in comparison to how and where this garlic is grown. Many Chinese farmers use pesticides that are illegal to use for farming purposes in China. “An undercover magazine reporter investigating in the area found that many vegetable farmers used phorate and parathion, two pesticides banned by the government, to irrigate the crops to save time and effort.” (Epoch Times) Both phorate and parathion have been labeled HIGHLY TOXIC POISONS. If it has roots and a stem, it is safe. China will cut these off before they ship them to save weight. Safe garlic is heavier and more bulbous. Imported garlic from China is lighter. Garlic with a richer taste is more likely from California and not imported from China. According to Food Reference, California-grown garlic measured a 40 out of 40 in brix flavor measurement while Chinese garlic only measured 28 out of 40. 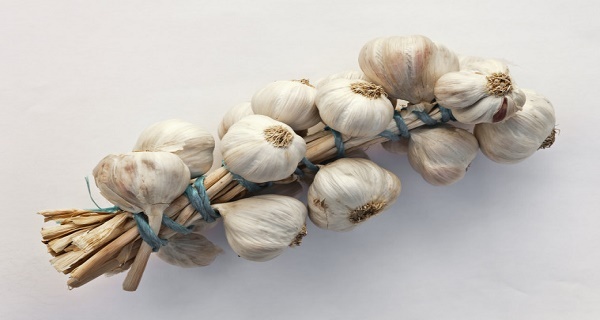 HOWEVER, THE BEST WAY TO MAKE SURE YOU ARE EATING SAFE GARLIC IS TO BUY FROM LOCAL FARMERS OR GROW IT YOURSELF.